The Million Dollar Mouse project to rid Antipodes Island of mice and restore the islands vulnerable plants and wildlife is underway with the departure of a rodent eradication team to the remote nature reserve and World Heritage Area. The project supply ship leaves Port Timaru today to travel 820 kilometres to the sub-Antarctic island with helicopters, equipment and team members onboard. The rest of the team left Dunedin on a passenger yacht earlier this week. Mice are the only introduced predator on the island and removing them will protect the island’s incredible plant and wildlife and return its ecosystem to the way it was before the small rodent arrived more than 100 years ago. The operation is one of the most challenging island eradications DOC has ever undertaken and it has only been made possible because of the widespread public support for the Million Dollar Mouse campaign. The campaign, led by the Morgan Foundation and supported by WWF-New Zealand and Island Conservation (IC), saw thousands of New Zealanders donate a quarter of a million dollars towards removing mice from the Antipodes. The public really stepped up and supported this vision in 2012 when we launched the Million Dollar Mouse campaign. It is awesome to see that vision is now becoming a reality. 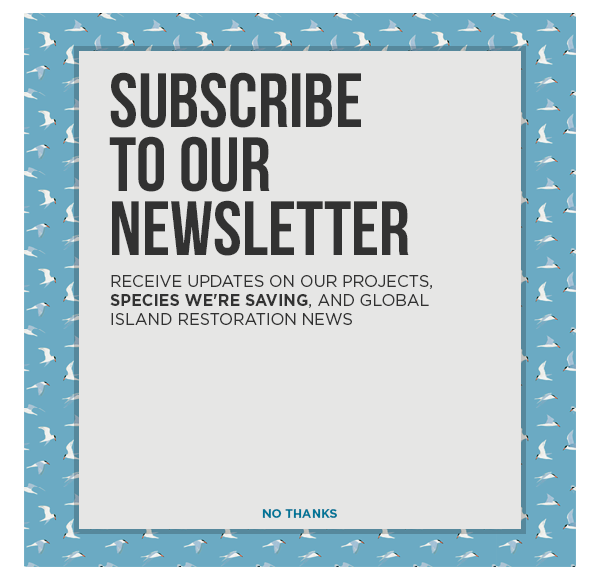 We are proud to be part of this project and partnership to protect the vulnerable animals and habitat of the Antipodes islands. Nowhere else on earth can you find the same suite of species, which includes such oddities as ground-dwelling parakeets and beetles that live in soils enriched by seabird guano. WWF-New Zealand is proud to be a Million Dollar Mouse partner and believes this project will make a substantial contribution to the protection and preservation of the Antipodes amazing island habitat. 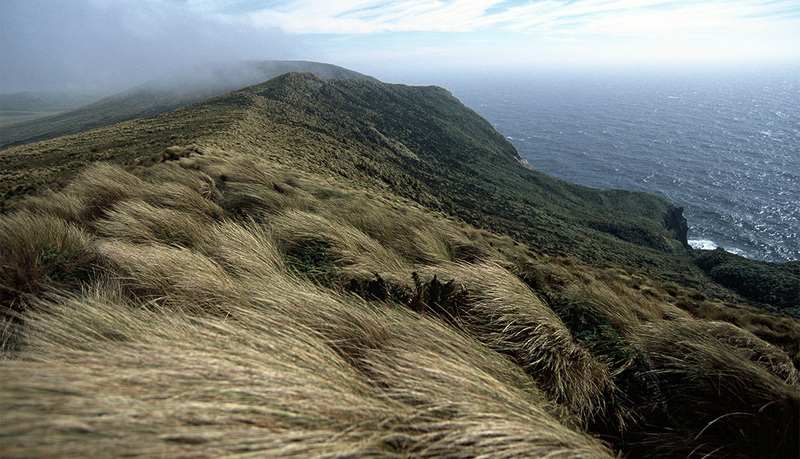 Antipodes Island is an ecological treasure and a World Heritage site, so this work is important to secure the only home of the Antipodes Island snipe, Antipodes Island parakeet and the Antipodean wandering albatross as well as a raft of other endemic species. Departure of the boats follows months of intense planning and preparation and marks the start of the operational phase that will see rodent bait spread by helicopter over the 2000-hectare island this winter. The remoteness, lack of safe harbour, wild weather and rough seas pose massive logistic challenges. But we’re confident we have a highly experienced team and are well prepared to succeed. The 13-strong eradication team includes two helicopter pilots, a helicopter engineer, a medic, a GIS (geographic information system) technician and eradication experts, two of which are Island Conservation staff. They will stay on Antipodes for two to five months waiting for the right weather conditions to complete the required two bait treatments. One of the first tasks is to build a platform and temporary hanger to protect the three helicopters from the elements. New Zealanders donated $250,000 towards the eradication through the Million Dollar Mouse fundraising campaign, while WWF-New Zealand and Island Conservation each gave $100,000. All public donations were matched dollar for dollar by Gareth and Jo Morgan, who contributed $350,000. Rare insects, plants and birds found only on the Antipodes Island Nature Reserve and World Heritage Area stand to benefit once mice are gone. These species include the endangered erect-crested penguin, unique ground-dwelling birds like the Antipodes Island parakeet and Antipodes Island snipe and at-risk seabirds such as Antipodean wandering albatross and white-chinned petrel. Mice came to the island by shipwreck or sealers in the 1800s and have had a significant impact on the island’s ecosystem. They eat insects and plants and prey on bird chicks and eggs. Mice have wiped out two insect species on Antipodes and pushed some seabirds to breed on nearby mouse-free islands. They also pose a threat to the 25 seabirds that breed on Antipodes.